Moral lesson: get a good universal converter. I just found out that Indonesia has its own deal-of-the-day site. I have tried dealkeren.com and disdus.com . Disdus however takes a long time to load to open from the UK. I didn’t managed to open the website. When the day is brights, the swarms invades the city. 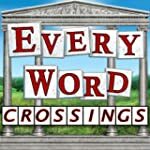 Subject: Free New Kindle Game, "Jigsaw Words"
Ready for a new word challenge? In "Jigsaw Words," you must combine groups of letters into words that match the clues. 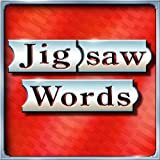 Try "Jigsaw Words" and other popular free games on Kindle. We hope you found this message to be useful. However, if you'd rather not receive future e-mails of this sort from Amazon.com, please visit the opt-out page. Please note that product prices are accurate at the time the e-mail is sent; however, prices are subject to change. IFTTT (If This, Then That) is an amazingly simple platform to cross-update your social network as well as other services. Most of us used services such as twitterfeed (and I still do too) to cross update statuses among social networks, but IFTTT is a lot more simpler and rich in features. IFTTT can be crosslinked with many services (including gmail, instapaper and evernote – facebook and flickr is of course there too) and set these services as trigger. When one services is put as a trigger, it will then update the other service. Now I am using IFTTT to conserve my tweet in Evernote. I know that there are lots of tweet conservatories are there, but I want all my notes put at a single repository. As I can access evernote from virtually any device (including my blackberry), Evernote is then a perfect place to conserve my tweets. Every tweets, its links, including my replies are conserved. I like doing long, serial tweets. So if one day I want to use my tweet as ingredients for my blog post, they are all there in my evernote. Sebagai tindak lanjut workshop ECOTAS-Tifa di Jakarta beberapa minggu lalu, saya membuat milis Water Jakarta bagi para peserta workshop untuk mendiskusikan follow-up rekomendasi penelitian. Saya dengan ini mengundang teman teman lain yang tertarik dengan permasalahan air di Jakarta untuk bergabung. Laporan riset, rekomendasi, prosiding dan booklet dari workshop Insya Allah akan saya posting di blog ini. This is absolutely hilarious. When the AIs (Artificial Intelligence) are a bit improved, I suggest them to be marketed to hardliners for educating tolerance and pluralism. Try cleverbot yourself. Honestly, I don’t think they are that smart (yet).